The University of Arizona-led spacecraft OSIRIS-REx celebrated New Years its own way, by entering into orbit with the asteroid Bennu. When OSIRIS-REx completed its first orbit of the 1,614-foot long spherical asteroid, Bennu became the smallest celestial object ever orbited by a human spacecraft. For the next year, OSIRIS-REx will map and photograph the surface of Bennu, searching for an ideal site to collect samples. Scientists chose Bennu, roughly the size of Pusch Ridge on the Catalinas, as the mission goal due to its carbon-rich surface and near-Earth orbit. From the collected samples of dust and rocks, researchers hope to examine the origins of life on Earth. 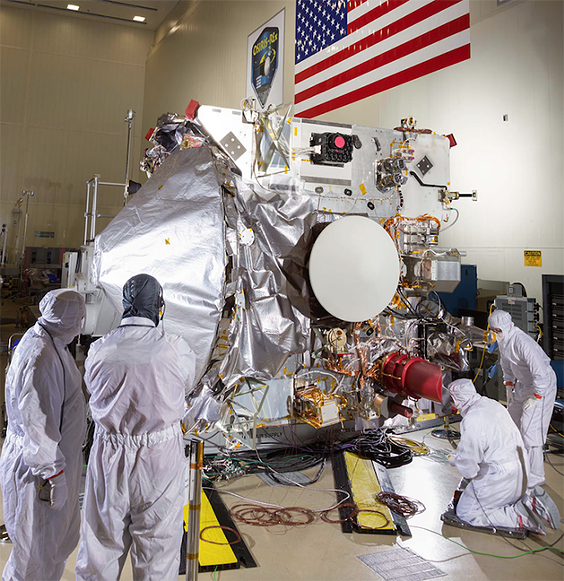 However, OSIRIS-REx will not be landing on Bennu to collect the cosmic samples. Instead, the spacecraft will perform a very close flyby, blast the asteroid with gas to knock loose some rocks and dust, and gather the propelled materials. Sample collection is scheduled for early July 2020. Afterward, the spacecraft will fly back toward Earth before jettisoning the "Sample Return Capsule" in September 2023.